Recognizing that the self has failed and continues to fail is important my sister; as you have done so this day, it indicates that you are at least cognizant of the self’s refusal to be different. 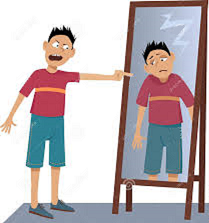 It is to determine, “Is it my true self that is responding or is it the self deep within – the self that has grown accustomed to failure, the self that believes that the outer self, the personality, should suffer?” It is a portion of the composite self my sister that continues to punish the current personality. Do you understand? Recognition is necessary and the self is capable of recognizing and being different in the moment. Do you agree with me my sister? Student: Yes, I believe I’m capable. I certainly want to be capable. It is to ask the self, “Who is this that is causing this response of self-hatred that begins the cycle of damage, causing a diminishment of energies that result in the self acquiescing to that which lies within, that which seeks failure for the current self, the current personality?” It is to set the goals my sister, the personal goals of the self, and to post them so that the self sees them frequently. “My goal is to know and to heal the self. My goal is to recognize behaviors that prohibit progress upon the path to healing. My goal is to love myself without condition.” Those portions of the self that lie deep within, created by previous lesson failure, prohibit love unconditional for the self as well as for others. To understand the self requires that the self examine behaviors, the responses of the self, and to determine if the response, the action, is that which was truly desired by the self. It is to identify those responses, those actions that belong to the lesson plan and to recognize how they have been presented to the self to encourage choice. It is your failure to choose my sister that results in depression that feeds, nurtures, the self-hatred that destroys vital energies needed by the self so that the self can break free of the lesson plan and respond differently. The goal my sister is to see the self as no more nor less important than any other being upon the planet; you are equal in all ways – your opportunities, your choices have been provided based upon that which the Teacher has chosen for the self. Do you understand? It is your desire to compare the self, to always make the self more or less important than another, that gives strength to that portion of the self that seeks to diminish the energies within, for the diminishment of another weakens the self equally to the diminishment of the self. Do you understand? It is to recognize the self as equal that shall allow you to refill the storehouse of energies that are needed to begin to love the self without condition.